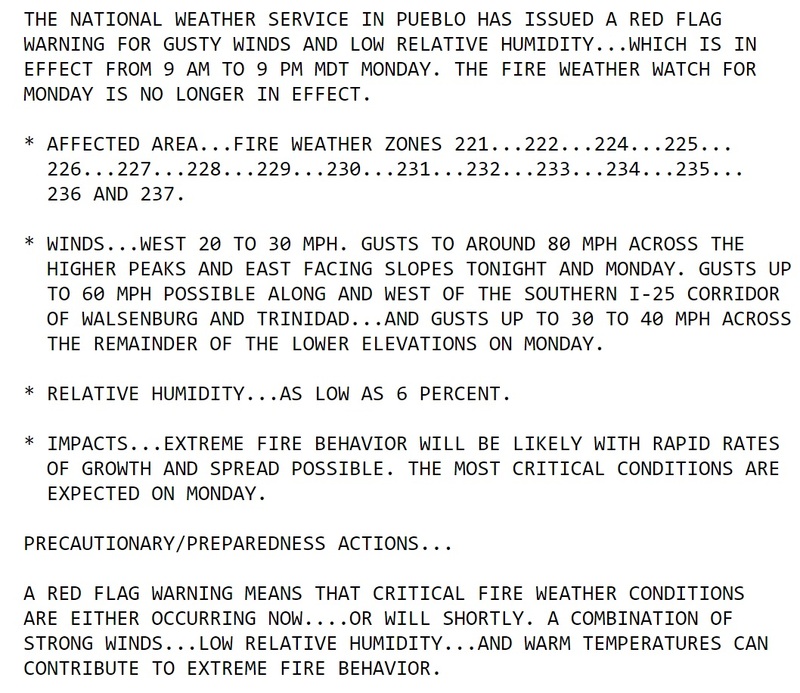 The National Weather Service in Pueblo has issued a Red Flag warning for increased fire danger on Monday, October 17, 2016 from 9:00am to 9:00pm. Avoid ALL outdoor burning, dispose of smoking materials appropriately, and report smoke or fire immediately by calling 911. This entry was posted in Uncategorized on October 16, 2016 by tstoeckl. 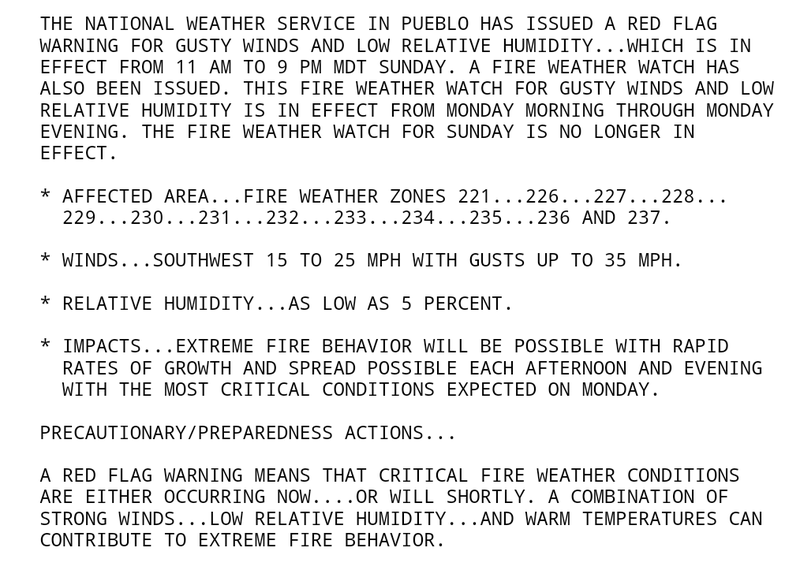 ​Red Flag Warning issued Sunday 11:00am-9:00pm for increased fire danger. 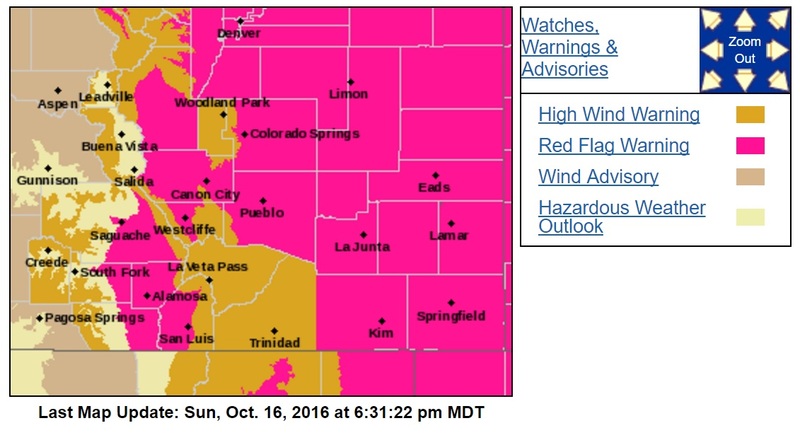 Avoid outdoor burning, and use EXTREME caution with potential ignition sources. This entry was posted in Uncategorized on October 15, 2016 by tstoeckl.